Subjects: ACT/SAT/SSAT prep - for English, reading, writing, math, essay, and verbal sections. Also Academic coaching, World & US history, Pre-Algebra, Algebra I, Algebra II, Geometry, Trigonometry, AP/Honors Biology, and AP/Honors Chemistry. Notes: Briana tutors full-time and covers most of Central and Northern Virginia. She tutors from Richmond all the way up to NOVA. She teaches ACT/SAT prep, high school math and science, and academic coaching. Briana completed an internship with the Fish and Wildlife Service at Kenai National Wildlife Refuge in Alaska, where she did research on brown bears and shorebirds. After getting her Bachelor of Science in Biology, she took a seasonal position with the Institute of Renewable Natural Resources at Texas A&M, mapping and surveying endangered warblers. She was also a Fisheries Observer and spent three months at sea working for NOAA. Briana relates to students extremely well. Parents love her, and many have wished to clone her! Briana always has a good attitude, she is flexible, and she is able to think quickly on her feet. She currently resides in the Fredericksburg VA area. Briana tutors throughout a wide span of areas: Richmond VA, Stafford VA, Woodbridge VA, Spotsylvania VA, Warrenton VA, Gainesville VA, Bealeton VA, Manassas VA, Bristow VA, and others. Education: Master of Science in Clinical Counseling from Post University and Bachelor of Arts in Psychology from State University of New York. Notes: Maria worked as a Mental Health Counselor and a Therapeutic Day Treatment Counselor for 8 years in the home, community, and school system. Using a psycho-educational approach, she provided behavior-specific interventions, instructional programs, and social and recreational activities to help students learn adaptive strategies and improve their academic performance. Maria is also a writer who has been freelancing for various magazine and newspaper publications since 2000. Currently, Maria is the Assistant Director at VHES and a tutor throughout Warrenton VA, Haymarket VA, Gainesville VA, Nokesville VA, Bristow VA, and other locations. Notes: Darryl has worked as a math teacher since 2005 at both the middle and high school levels. Darryl has extensive experience creating exams, designing comprehensive lesson plans, and implementing behavior-modification strategies to refocus students on learning. 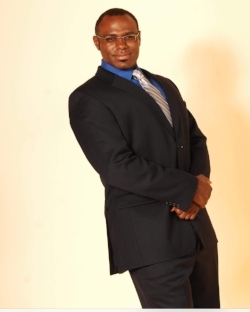 He is also a Mentor and Certified Personal Trainer who is skilled at coaching, engaging, and motivating his clients. Darryl is presently teaching at Armstrong High School in Richmond, specializing in Pre-calculus, Geometry, and Algebra I and II. He is available to work with students in Richmond and surrounding areas. Subjects: Pre-Algebra, Algebra I, Algebra II, Geometry, Statistics, Trigonometry, Pre-Calculus, Calculus, Academic Coaching, SSAT/SAT/ACT prep - for math, reading, writing, English, and science test prep. Notes: Jeff has over 20 years of classroom teaching instruction. He’s taught math classes at the middle school, high school, and college levels. He also served as a mathematics department chair. Jeff taught mathematics, grades 7 through 12. Courses included Pre-Algebra, Algebra, Geometry, College Algebra and Trigonometry, Mathematical Analysis, Discrete Mathematics, AP Calculus AB and BC, and AP Statistics. Jeff taught evening math classes at a community college in Salt Lake City for several years. He's also taught at the Collegiate School in Richmond, Episcopal School in Portland, St. Mary's School in Raleigh, Marlborough School in Los Angeles, and Crossroads School in Santa Monica. Jeff has been an instructor at the national conference for Teachers Teaching with Technology (T3). Workshop topics he's covered include vector analysis with the TI-89 graphing calculator, Markov chains, nonparametric statistics applications, and applying matrices to polynomial multiplication. Jeff enjoys swimming, hiking, and cycling. Jeff tutors throughout the Richmond VA area: Henrico VA, Chesterfield VA, Glen Allen VA, Mechanicsville VA, Midlothian VA, Tuckahoe VA, and other nearby areas. Notes: Michael has worked as a tutor at the University Center for Academic Excellence in Charlotte since January 2016, specializing in calculus, chemistry, and algebra. His experience also includes assisting in the engineering of antibodies for the Pfizer Corporation. Michael is an aspiring actuary currently preparing for Exam P. He is available to work with students in Charlotte and surrounding areas. Notes: Whitney has taught English, reading, and writing classes at several different schools. She’s also held positions in the admissions office at two different private schools. Whitney is certified in CELTA and TESOL. She is proficient in Spanish and Japanese, and she has taught English overseas in Thailand, Japan, UAE, and Azerbaijan. Whitney was the associate admissions director at St. Timothy’s School up until summer 2017. She also taught Creative Writing and English at a school in London. Whitney is a member of Decoding Dyslexia, advocating for early literacy through expansion of public access via state and federal legislation and training. She has availability in the evenings and on weekends, and she tutors in the Washington DC and Northern VA areas: Alexandria VA, Arlington VA, McLean VA, Springfield VA, Burke VA, Annandale VA, and others. Subjects: Special education, reading, writing, language arts, academic coaching – ACT/SAT/SSAT prep: verbal, reading, writing, essay, and English sections. Notes: April started her teaching career as a substitute for Chesapeake and Portsmouth Public Schools. In 2009, she became a full-time Special Education Teacher for Chesterfield County Public Schools. She has also been a Title 1 Reading Teacher for Surry County Public Schools. She’s worked with students with IEPs and taught English, Reading, and Algebra I. She’s instructed reading and vocational groups, and she's taught students with ADD/ADHD, autism, dyslexia, dysgraphia, and emotional disturbances. April has worked with students from elementary school up through the undergraduate level. She’s helped students with low executive functioning skills stay on track and plan out assignments. April serves the Richmond VA area, including Henrico County, Hanover County, and Chesterfield County. Some of the areas April travels to are Glen Allen, Tuckahoe, Mechanicsville, Ashland, Short Pump, Highland Springs, Lorraine, Midlothian, Sandston, Atlee, Bellwood, and others. Subjects: English & AP/Honors, writing, literature, history, academic coaching, ACT/SAT/SSAT prep – verbal, reading, writing, essay, and English sections. Notes: Kristin scored in the 99th percentile on the Praxis II for English Language and Literature. She’s endorsed for English grades 6-12 – certified VA teacher. She completed the Licensure Program at EducateVA in Richmond. For two years, she was a homebound facilitator for Henrico County Public Schools. For four years, she taught English at J.R. Tucker HS. Her students had a 97% or higher student success rate on both the Writing and Reading SOL. Curricula taught include 9th, 11th, and 12th grade English—as well as Journalism. She had a 99% student success rate during an intensive remediation program. For one year, Kristin was a GED instructor at the Mt. Vernon Adult Education Center. She was an Instructional Assistant at Glen Allen HS for one year. She also tutored for Little Scholars of Richmond for two years. Kristin spends her free time vounteering with the Therapeutic Horseback Riding Program. She tutors in the Richmond VA area: Glen Allen VA, Henrico VA, Midlothian VA, Mechanicsville VA, Bon Air VA, Tuckahoe VA, Dumbarton VA, and others. Subjects: Math: Pre-algebra up through AP Calculus, AP Chemistry, AP Biology, ACT/SAT/SSAT prep: math, science, verbal, reading, writing, and English sections. Notes: Ester is currently a PRN tech at a local hospital. She has been tutoring one-to-one since 2009, working with students from age 7 up through 19 years. Before joining our team, she tutored math, history, biology, chemistry, and ACT/SAT prep. She also volunteered as a mentor, helping students decide what to do after high school. In addition, Ester was an assistant middle school instructor for two years in math and science, as well as a volunteer for The Rainbow House, working with students who have learning challenges. Ester tutors in Culpeper VA, Warrenton VA, Bealeton VA, Remington VA, Madison VA, Opal VA, Charlottesville VA, Amissville VA, Ruckersville VA, and many other areas up and down route 29. Subjects: AP/honors English, college level English, AP literature, language arts, reading, writing, government, political science, ACT/SAT/SSAT prep - for English, reading, writing, essay, and verbal sections. Notes: Michael was a full-time instructor at Central Piedmont Community College for seven years. He was also an adjunct faculty member for two years. At CPCC, Michael taught a variety of English courses: technical writing, English 101/102, British Literature, American Literature, literature-based research, and argument-based research. He also worked as a tutor in the college learning lab. For three years, Michael taught English to first-year students at ECPI and ITT in Charlotte NC. He was also the lead copywriter for Carolina Speech Services for four years, and he has worked as a business writer and technical writer for Wells Fargo and Fontem. In these roles, he wrote, revised, and edited all internal/external communications. Michael tutors throughout the Charlotte NC area. Subjects: Pre-algebra, Algebra I, Algebra II, Geometry, Trigonometry, Statistics, Pre-calculus, AP Calculus. ACT/SAT prep - for math, reading, writing, English, and science test prep. Notes: Janine worked as a teaching assistant for four years at both the high school and middle school level. She created and implemented lesson plans for Algebra I, Algebra II, and Trigonometry. She graduated from Temple University and moved to the Northern VA area from Philadelphia. She really enjoys tutoring and is well-versed in mathematics. She employs a high degree of integrity and studies child/adolescent psychology. Janine is motivating, friendly, upbeat, and responsive. She loves to work with students on ACT math, SAT math, pre-calculus, AP calculus, algebra I, and other math subjects! Janine is available to tutor in Leesburg and surrounding areas. Subjects: Pre-Algebra, Algebra I, Algebra II, Geometry, Trigonometry, Pre-Calculus, AP Calculus, AP Biology, AP Chemistry, ACT/SAT Prep – for Reading, Math, English, Writing, and Science. Notes: Piarget graduated from Duke University in 2010. A few of his favorite subjects were Spanish, Calculus, and International Art Markets. He started tutoring independently at Duke and continued after graduation. At Duke, he received the Dean’s Recognition Award while earning his graduate degree. For three years, he was a patient advocate leader for Duke University Medical Center. He was also a research assistant with the VCU Health System for one year. Piarget has studied abroad in Germany and the Netherlands, and he was a Gates Millennium Scholar through the Bill and Melinda Gates Foundation in 2006. He held an internship for Whitney Hill Partners in Charlotte NC for one year. He also provided market analysis and valuation analysis for a managing partner of a graphite mine in the Madagascar region of Africa. For the last four years, Piarget has worked for Virginia Premier Health Plan in Richmond. He has held the roles of System Analyst II and Project Management Consultant. Piarget resides in Glen Allen VA and tutors throughout the Richmond VA area. Subjects: Pre-Algebra, Algebra I, Algebra II, Geometry, Trigonometry, English, reading, writing, essays, ACT/SAT/SSAT Prep – reading, writing, English, math, and science. Notes: Steve taught AP Literature for 10 years at a boarding school in Bethlehem, PA. For 5 years, he was a lecturer at Penn State University. He also tutored at the Penn State Writing Center. Steve was trained to teach Rhetoric and Composition. He taught Creative Writing for a total of 10 semesters. Steve was also a substitute English teacher for Maumee City Schools for three years and has worked as a tutor at Sylvan Learning Center. Steve says he first fell in love with teaching as a Graduate Assistant at Penn State. As a tutor, he is observant, direct, involved, and charismatic. Steve lives in Rixeyville VA and tutors from Culpeper VA up through Manassas VA. Subjects: Pre-Algebra, Algebra I, Algebra II, Geometry, Trigonometry, Pre-Calculus, AP Biology, AP Chemistry, ACT/SAT Prep – for Math, Reading, Writing, English, and Science. Notes: Laura graduated from the University of Mary Washington in 2016 and then went on to attend a certified nursing assistant training program at Riverside College of Health Careers in Newport News, working as a CNA before applying to graduate school. Laura worked as a substitute teacher at the Tejano Center and as a teacher’s assistant at a public charter school in Houston TX. She also worked one-to-one with students in grades 6-12 at the Raul Yzaguirre School for Success. Laura completed a mission year in which she partnered with local churches, non-profits, schools, community leaders, and activists to support Houston’s impoverished communities. She lived fully integrated in low-income neighborhoods in order to build relationships and understand the community’s needs. Laura was also a Youth Ministry Leader for Young Life for three years, an assistant volleyball coach for one year at a school in Fredericksburg, and a 4th-place recipient in the FIRST Robotics World Championships for design and construction. Laura works with students in the Richmond VA area and Fredericksburg VA areas. Notes: George is a semi-retired math and science professor from the University of Mary Washington. He was a college professor for 12 years. He also taught at a university in Texas. George also worked as a scientist for the Navy and for NASA. He does a good job at figuring out problems that are highly complex in nature. George is outgoing, friendly, has a strong personality, and is fun to work with. He is also energetic and relates to students easily. George scored 100% on our physics tutor test and 100% on our high school subject math tests (through AP calculus). 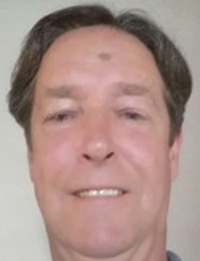 Currently, he is a part-time instructor at Lord Fairfax Community College and resides in Sumerduck VA. George tutors throughout Stafford VA, Fredericksburg VA, Warrenton VA, and Culpeper VA. Subjects: ACT/SAT/SSAT math, Algebra I, Algebra II, Geometry, Trigonometry, Pre-Calculus, Calculus. Notes: Eric has extensive experience tutoring students in multiple math disciplines, from pre-algebra to multivariable calculus. This experience began in 2003, when he worked at his alma mater as a Secondary and College Math Tutor. Eric has maintained this role with various reputable tutoring agencies throughout Virginia and Maryland. He is also nationally certified as a PC Specialist. Eric is available to tutor in D.C. and surrounding areas. Subjects: AP/Honors Biology, AP/Honors Chemistry, Pre-Algebra, Algebra I & II, Geometry, Trigonometry, ACT/SAT/SSAT prep - for math, reading, writing, science, English, and verbal. Notes: Flora has worked as a Water Quality Lab Technician for four years, and she has been a substitute biology teacher for Fauquier County Public Schools for two years. Currently, Flora works for Joiner Micro Labs in Warrenton. She performs bacteriological analysis on drinking and wastewater in accordance with NELAP regulations. She provides guidance to clients on which analysis to perform on their water samples. She also prepares biological materials and safely handles microbiological and chemical hazardous materials. Presently, Flora works for two different biological laboratories. She can tutor on both weekdays and weekends in Haymarket VA, Warrenton VA, Gainesville VA, Bristow VA, Bealeton VA, Nokesville VA, The Plains VA, Manassas VA, and other nearby areas. Subjects: Reading, writing, English, academic coaching, ACT/SAT Prep for math, reading, writing, English, and science. Notes: Mary has been a teacher for over 20 years and she has taught ACT/SAT/SOL/ASVAB group classes at local schools. Currently, she teaches at a private school in Alexandria VA. In addition, Mary has been doing one-to-one ACT/SAT prep for 12 years. Mary is highly motivated, personable, and enthusiastic about teaching math, science, and language arts concepts to students of any age. She believes in positive reinforcement and age-appropriate creative learning strategies. Mary has taught accelerated language arts, math, and science classes for middle school and high school students. Mary currently resides in Manassas VA. She can tutor in the following areas: Bristow VA, Nokesville VA, Haymarket VA, Woodbridge VA, Dumfries VA, Stafford VA, Warrenton VA, and other nearby areas. Notes: Enzo is currently a high school physics teacher. He has also worked as a tutor since 2015, providing instructive and comprehensive lessons in geometry, calculus, trigonometry, and physics. Enzo uses a thorough and analytical approach to teaching, providing step-by-step instructions that help students understand difficult concepts and work through course material more efficiently. He resides in Warrenton VA and can tutor students in Gainesville VA, Bristow VA, Haymarket VA, The Plains VA, Marshall VA, Bealeton VA, Culpeper VA, Nokesville VA, Manassas VA, and other nearby areas. Subjects: Reading, Writing, AP English, History, ACT/SAT/SSAT/ISEE/HSPT Prep – for reading, language, verbal, writing, English, and essay sections. Notes: Anisa is currently a tutor at the Northern Virginia Community College writing center. She was previously a substitute teacher for Prince William County Schools for four years. She was also a writing coach in Portland, Oregon for six years and a writing instructor at Mt. Hood Community College for two years. Anisa has taught writing workshop classes at NOVA Community College and has proofread and edited numerous papers and essays, reviewing them for grammar, organization, spelling, and punctuation. She has great communication skills, and she is enthusiastic about grammar and editing. Anisa tries to inspire all learners and enjoys customizing a plan based upon the student’s needs. She also has experience working one-to-one with students who have ADHD and Autism. Anisa currently tutors throughout Northern Virginia: Manassas VA, Centreville VA, Herndon VA, Annandale VA, Clifton VA, Gainesville VA, Bristow VA, Nokesville VA, Warrenton VA, Haymarket VA, Springfield VA, Fairfax VA, Burke VA, and other nearby areas. Education: Bachelor of Arts in English with a Minor in Writing from Hampden-Sydney College, Master's in Clinical Social Work from Virginia Commonwealth University. Subjects: English & AP/Honors, writing, literature, history, academic coaching – ACT/SAT/SSAT prep: verbal, reading, writing, essay, and English sections. Notes: Thomas studied at the University of Oxford in 2010, enrolling in a summer program on renaissance-era English literature. Prior to enrolling in his graduate program, he was a Richmond City secondary English teacher for three years. He was also Head Residential Instructor at Oakland School in Keswick, VA. Thomas worked in the college library for four years while attending Hampden-Sydney College. He is skilled at building relationships with both students and parents in order to work toward positive gains for each child’s education. Thomas is good-natured, polite, supportive, and accommodating. He tutors throughout the Richmond VA area. Subjects: Pre-Algebra, Algebra I, Geometry, Algebra II, English, Reading, Writing, Academic Coaching, ACT/SAT/SSAT Prep – for math, reading, writing, English, verbal, and science. Notes: Richard has been a tutor at Huntington Learning Center for 7 years. He tutors students K-12 in reading, writing, English, and math. He started tutoring for the ACT/SAT in 2012. Richard was a Title II teacher for three years in Virginia Beach, VA. He has also worked as a summer school teacher and Sunday school teacher. For one year, he was a site permanent substitute teacher for Granby High School in Norfolk, VA and a long-term substitute teacher at Roscommon High School in Michigan. He was also a math and science teacher at the Huntington Learning Center in Mooresville, NC for five years. His duties included tutoring students grades K-12 and above in Reading Comprehension, Vocabulary, Writing, and Math. In addition, Richard once designed comic book illustrations and layouts as a freelancer. Richard serves students' homes in the Charlotte NC area. He travels to Concord, Davidson, Huntersville, Kannapolis, Mt. Holly, Harrisburg, Hopewell, and other areas. Subjects: Pre-Algebra, Algebra I, Algebra II, Geometry, Trigonometry, Pre-Calculus, Calculus, Biology, Chemistry, ACT/SAT Prep – English, reading, math, writing, and science. Notes: While attending USC, Ousmane received the Howard Hughes undergraduate research fellowship in biotechnology and molecular genetics. He was also a graduate research assistant for two years at the USC Biological Sciences Department, and he worked at the Molecular Evolution & Bioinformatics Research Laboratory. While attending graduate courses, he tutored students, proctored tests, supervised lab sessions, and managed equipment, supplies, and materials. He was also a student assistant at USC for two years at the Student Support Services Department. He assisted students with learning challenges and disabilities, helping them use technology to complete their class assignments. Ousmane holds a Certified Pharmacy Technician license and is a member of the NC Pharmacy Association. He currently tutors full-time through several different organizations. In one of his roles, he interviews students and families to determine needs and devise an action plan. He is especially skilled at motivating and building confidence, putting an emphasis on critical thinking, reasoning, and problem solving instead of leaving everything to memorization. Ousmane can also do test prep for the GRE, GMAT, LSAT, and MCAT. Ousmane serves the Charlotte NC area. He primarily tutors south of Charlotte in such areas as Waxhaw, Weddington, Pineville, Matthews, Indian Trail, Marvin, Monroe, Wesley Chapel, Mint Hill, Myers Park, Barclay Downs, Ballantyne, Montclaire South, and others. Subjects: English, reading, writing, history (all levels, world history through AP history and government), academic coaching, and SAT/ACT prep for English, reading, and writing. Notes: Candice is an English instructor at an institute in Manassas VA. She has been a college professor for over 20 years. Candice works well with unmotivated students. She is skilled at revealing where students are at a certain point and defining what type of help they need. She has had nine papers published and has taught over ten different history courses. Candice is direct, motivating, supportive, and friendly. Candice can tutor throughout the Northern Virginia area. Notes: Sandra has retired from teaching and now tutors chemistry online, through group classes, and one-to-one. She taught chemistry at the college and high school levels for over 30 years. Shortly after graduating with her MS in Chemistry in 1980, she started teaching at the University of Maryland. She began tutoring independently in 1989 and tutoring for various Virginia companies in 2009. She also worked at NASA for two years, managed a tutoring organization for six years, and lectured at Prince George’s Community College in Largo, MD. She is direct, engaging, and solemn. Notes: Kathleen has extensive experience tutoring students in multiple disciplines. As an independent and homebound tutor, she has used a holistic and individualized approach that has helped her students develop organizational and test-taking skills while learning curriculum content. Kathleen also worked as a History Teacher for three years and a Learning Center Teacher for fourteen years at Christian Heritage School in Connecticut. In addition, she is a qualified Academic Coach with significant experience educating and empowering students with medical needs and learning disabilities. Kathleen is friendly, personable, engaging, and supportive. She is available to tutor students in Centreville, VA and surrounding areas. Subjects: Biology, Chemistry, Earth Science, AP English, Writing, Pre-Algebra, Algebra I, Geometry, SSAT Math, SSAT Reading, SSAT Verbal, ACT Reading, ACT English, ACT Science, SAT Writing, SAT Reading, and ACT Math. Notes: Casey recently graduated with a master’s degree from Georgetown University. Her goals are to earn her Ph.D. and become a college professor. She has been working part-time as an orthopedic technician. Casey grew up in Tennessee and graduated from the University of Tennessee with a 3.7 GPA. She had a 3.9 GPA in her master’s program. She also completed a graduate certificate course in organic chemistry and molecular biology. She was enrolled in the UT Honors Seminar Program and was a National Fastpitch Coaches Association Scholar Athlete. Casey is warm, friendly, sweet, and personable. 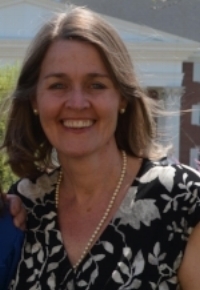 She can tutor in Alexandria VA, Springfield VA, and Arlington VA.
Notes: Vickie has taught Spanish 1, 2, 3, and 4. Many of the students who have completed three/four years of study with Vickie have earned college credit via the CLEP test, the AP exam, and college entrance exams. She also studied in Mexico and Spain with the Universities of Arizona and Marquette. She has traveled extensively throughout Central and South America, and she has served as a translator in six mission trips to Mexico, Honduras, and Paraguay. She also taught Spanish 101 and Continuing Education Conversational Spanish at Lord Fairfax Community College. Vickie focuses on all aspects of the language: reading, writing, listening and speaking. She also offers piano instruction and arranges student European tours to Spain, Ireland, Scotland, England, and France. Notes: Trent is currently a chemistry teacher for the Spotsylvania County school system and was previously a chemistry teacher for Fairfax County. He has been with Spotsylvania County Public Schools for eight years, and he is certified to teach secondary school education in Virginia. Trent is an accomplished and energetic teacher with a solid history of student achievement. He excels at motivating students, utilizing his areas of expertise in curriculum design, student learning styles analysis, and student remediation. He teaches general and honors chemistry in Fredericksburg VA.
Notes: Mosi’s experience includes Lead Instructor and Teaching Assistant of an upper-level civil engineering course at the University of Delaware. In these roles, he taught lectures, developed syllabi, prepared material, helped with course logistics, and proctored exams. Prior to teaching, Mosi was an Excel Scholar at Lafayette College in Pennsylvania, where he conducted research and designed virtual-simulation software. Since 2015, Mosi has worked as a specialist for New York City Emergency Management, coordinating with city, state, and federal agencies to improve transportation and infrastructure emergency planning. Mosi resides in Arlington and can tutor students in the D.C. and surrounding areas. Subjects: Elementary to AP English, Reading, Writing, US and World History, K-7 Math, Pre-Algebra, Algebra, Geometry, Statistics, ESL, Academic Coaching, ACT/SAT/SSAT prep. Notes: Since 2015, Jenni has worked in a student advisory capacity, helping students adjust to university life and fulfill their academic goals. She was previously the Program Coordinator for Pioneer Academics, where she counseled domestic and international students on their resources, capabilities, and performance. At The College of William and Mary, Jenni worked as an Academic Peer Advisor. In this role, she worked closely with students to help transition them to college and individualize their academic agendas. Jenni currently works as an analyst at the University of Maryland Health Center, where she assists in the management of an occupational health unit and analyzes data pertinent to various ongoing studies. Jenni’s tutoring experience includes STEM and reading tutoring for the Academics Department of the Ed Snider Youth Hockey Foundation in Philadelphia. Jenni is also multilingual, with fluency in English, Spanish, and Korean. Jenni is available to tutor in D.C. and surrounding areas. Notes: Phoebe has worked as a volunteer tutor for the Literacy Council of Northern Virginia since 2012. She has helped numerous students advance their reading level, and she was recognized as an Outstanding Tutor by the organization. Phoebe has also worked as a substitute teacher for Virginia Commonwealth University, teaching French 101 and 102. As a student researcher, she collaborated with VCU faculty to create learning modules and activities for intermediate-level French language students. Phoebe scored 100% on the AP English test and 97% on the GRE Verbal section. She is available to tutor students in Richmond and surrounding areas. Notes: Jay has been tutoring since 2015, helping students improve their grades and increase their confidence in topics such as biology, general chemistry, and organic chemistry. While attending James Madison University, he tutored over 15 students per week. Jay has also worked as a Plant Development Specialist for a lavender farm in Harrisonburg, VA, where he bred and harvested over 9,000 lavender plants of nine various cultivars. He is also an OSHA-certified Environmental Specialist and a member of the Nature Conservancy and Global Soil Biodiversity Initiative. Jay is available to tutor in Manassas and surrounding areas. Notes: While attending Virginia Commonwealth University, Joseph worked as an assistant instructor, offering peer-assisted study sessions to as many as 30 math and science students per week. These sessions were designed to help students understand the more difficult course material, improve test performance through intensive exercises, and work at a faster pace. Joseph’s other experience includes volunteering for the Red Cross and coaching and training athletes at the Nike Tennis Camp. He currently works as a medical assistant in northern Virginia. Joseph is available to tutor students in Bristow and surrounding areas. Notes: Shannon’s experience includes 15 years of teaching classes and workshops. Shannon has taught multiple subjects as a K-12 substitute teacher, and she has helped students improve their performance in testing and language as a private tutor. Shannon is a multilingual tutor, with proficiency in French, Spanish, and German. She is also a certified yoga instructor and is currently practicing as a Wellness Advocate. Shannon is available to tutor in Fauquier County and surrounding areas. Notes: Mariana is a skilled and professional tutor who has worked as an Instructor, Translator, and Program Coordinator at the Bell Language School and Columbia University Teachers College. Her experience includes training school faculty, helping international students assimilate to the U.S. education system, and teaching English conversation and grammar to over 100 students. Mariana is also fluent in Spanish and certified in Education Policy and Program Evaluation. She is currently working as a legislative intern, preparing policy documents and drafting materials for publication. Mariana is available to tutor in the metro DC area.